Ring the bells of your future as you play this amazing release by Amatic - Lucky Bells.Every slot player has that lucky symbol which is always laden with fortune. Then this slot gives you just that, luck with these bells. 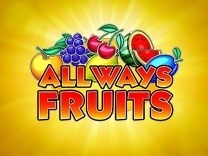 You will also get to drain the juice from the fruit symbols in this slot as you spin the reels for big wins. Lucky Bells is a 5-reel, 3-row and 20 payline slot with tons of bonus symbols to help you along when playing.So get ready to discover the treasures hidden in this slot. While most of the games which are provided by Amatic are amazing, Lucky Bells has taken rather a basic look. You will find that there is no background and the only difference on the game is the slot name. The characters in this game are all fruits except the star, the ladybug and the 7. The seven is the main character and will award huge prizes.The symbols are displayed perfectly on the slot ensuring that you have the best game time. The symbols will animate whenever you make a winning combination. There is also a soundtrack which will keep on nudging you to continue spinning the reels. Whenever you land a winning combination, then the tone chances alerting you of your windfall. All this adds up to the graphics are superb. Whenever you load the slot, do not expect any downtime as the slot will load easily. You do not require to download any software as this slot can be played on any device whether mobile or desktop.If you are looking for a fun game to play, then this is the slot to pick. It is a low to medium variance slot. Expect frequent payouts between plays. It is recommended for all players whether they are novices or veterans. 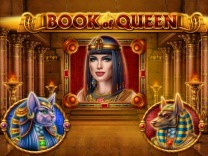 Amatic has ensured that players get the best game experience and this is demonstrated with this slot. You will interact with different characters which make up this slot. you will find fruit characters such as melons, oranges, cherries, lemons, apples and ladybug. These are the standard symbols and represent the high and low paying symbols on the slot. Matching 5 of these symbols will award you 500 coins for 1 coin on one active payline, while the lowest amount which can be won is 3 coins for matching 3 of these symbols.Before playing this slot, you have to understand the gameplay. You will be required to set a wager before you can begin reaping the benefits and prizes which are awarded when playing this slot. You are allowed to do this by adjusting the number of coins which can be placed on each payline. Lucky Bells allows players to set a bet of between 1 and 5 coins per bet line. For those players who would like to sit back and watch as the wins land, there is an autostart feature included in the slot. In Lucky Bells, you will find that there are 20 paylines which will give you multiple chances to make winning combinations with each spin. You have to match at least 2 of the high paying symbols or 3 of the standard symbols to receive a payout.Watch out for the lucky 7 as this is the best symbol in Lucky Bells. 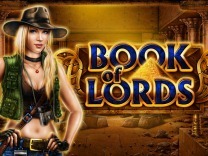 Matching 5 of these symbols on the lowest bet will award you 3000 coins. While you will find that Lucky Bells will provide an excellent gameplay, you will also discover that there are bonus features which will enable you to make easy winning combinations. You will discover that there is a scatter symbol, a wild and a gamble feature to ensure that you rake in huge prizes.The scatter symbol will pay on any position in the slot. Matching this symbol 3X will award you 20 coins for the lowest bet. There is also a ladybug symbol which will also pay while in any position on the slot. Other than that, there is the wild symbol. This symbol will substitute all other symbols on the slot except the scatter symbol. The wild on Lucky Bells will also extend along the reels thus allowing you to make easy winning combinations.Finally, there is the gamble feature. this feature allows players to double or quadruple their winnings by correctly guessing either the card colour or the card suit. Incorrect guesses will take you back to the base game without your winnings.